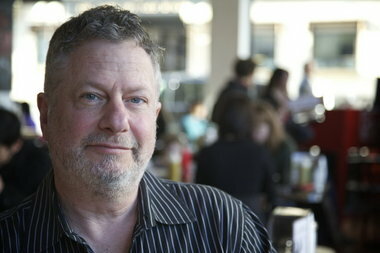 Michael Lloyd/The OregonianPORTLAND, OREGON – January 27, 2012 – Ken Gordon, owner of Kenny and Zuke’s Deli, was diagnosed with diabetes early this year. He will keep a diary of his efforts to help improve his condition with diet and exercise. Michael Lloyd/The Oregonian. It’s been three months since I began this column following my diagnosis of Type 2 diabetes and metabolic syndrome — a good time for a progress report. Writing this weekly column has been a bigger undertaking than I anticipated. Not so much the actual column writing, but the ripples that have ensued from it. I try to answer everyone who writes me — 700 to 800 emails in the 12 weeks the column has run — and as I have a tendency toward long-windedness, the time answering emails adds up. Plus I’ve fielded a lot of other offers: to write on health care sites, to give talks, to team with organizations and doctors trying to find new and effective ways of getting the word out. Oh, and there was that offer to act as Brad Pitt’s double in his new film, though I might have dreamed that one. But the column and the public scrutiny from it have forced me to stay focused on my quest for better health and fitness. It is keeping me honest and on track. All this would have been more daunting without the surprising and substantial energy surge that my new diet and lifestyle have given me. I seem to never get tired. I start my workday at 4:30 a.m., and I used to be ready for a nap by 2:30 in the afternoon. I haven’t taken one of those naps since the diagnosis. And I’m not worn out by bedtime, either. I feel sharper, and my productivity has been greater. As busy as I’ve been, I would have expected to feel more stressed out. On the contrary, I seem to be more relaxed, and clearheaded. Since the dramatic improvement in my blood-test numbers a few weeks ago — and the near-reversal in my diabetes — my eating has shifted slightly. I’m a little less hyper-aware now of everything I put in my mouth. I’m still very careful, and I have not had a single soda or a sandwich or burger with white flour bread. And no fast food whatsoever. I’ve had a couple of bagels, though with significantly less cream cheese. And two scoops of Ruby Jewel ice cream, though not at the same time. And a half slice of pepperoni pizza. And four slices of bacon — on four separate days. My “splurges” are few and far between, but they help me keep my sanity. Generally, I’ve been eating pretty well. Breakfast is usually yogurt, fresh fruit and granola. Two days a week, I include eggs from our backyard chickens with a couple of corn tortillas, avocado, salsa and a little queso fresca. Or scrambled eggs with mushrooms, onions, a little ham and one piece of whole wheat toast. Lunches tend to be big salads, or healthy sandwiches on whole grain bread with mustard instead of mayo. I used to think I could live on mayo, but I’ve been proved wrong. Or the cart pod near my house that recently added a Koi Fusion, whose bulgogi tacos are satisfying and fit perfectly with the way I’m eating now. I snack a fair amount. I think it’s key not to get too hungry — that’s when you have a tendency to panic and grab the first slice or doughnut in your path. Nuts, dark chocolate, fresh fruit, frozen cherries or blueberries, air-popped popcorn are all handy and satisfying. I cook dinner five nights a week. I’ve been cooking a lot of Thai and Vietnamese — protein and vegetable-rich soups and stir-fry with soba noodles, tofu with dipping sauces, sashimi and poke. Or some grilled fish, steak or lamb chops and roasted vegetables with brown rice. Tonight I’m making an old dish I created — rabbit stew with leeks and prunes, with whole wheat pasta and roasted asparagus. Chicken with 40 cloves of garlic is a standby that takes about 10 minutes of prep time and is absolutely delicious. The other two nights dinner is most likely at an Asian restaurant — Biwa, Miho, Red Onion, Pok Pok or Ocean City, where I know I can eat lean and with lots of veggies. As you can see, I’m not depriving myself. But I am being really careful about portion sizes. Historically, I’d keep eating something I liked until it ran out. There’s nothing like a health scare to make you develop willpower. I really enjoy my walks. They’re great exercise and never, ever tedious. But I need to step it up a bit. I still want to lose 30 more pounds (I’m down to 212 from 239). But the second 30 will come off slower than the first. I think my diet is pretty good right now, and I don’t want to sacrifice the energy that a further calorie cut might produce. So I’m thinking of running a bit to supplement the walking. And getting back to playing some basketball and tennis. Soon. I’ve heard that cigarette smoking is harder to quit than heroin. Luckily, I don’t know that firsthand. I quit smoking through hypnosis about six years ago and didn’t have even a puff for five years. I nibbled at the habit now and then until the diagnosis, when I stopped cold again. But I get the urge every now and then, and still indulge occasionally. Nothing at all good about that, and I’m thinking about revisiting that hypnotist for a tuneup. I’ll let you know how that goes when we have this chat again in three months.